1.Single-phase motor:the most common motor is using at unipolar which is belong to the simple wiring function in generally. 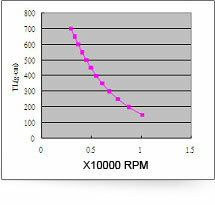 2.Bipolar motor: two bipolars and the applictation is belong to low speed's cost down type. 3.Three-phase motor: three bipolars assembled, the aoolication is belong to torque rippoe which will have two bipolars on working and one biploar on rest. 4.Claw-poles motor: from up stator and down stator assembled with unipolar and the evolution was from stepping motor by Claw-poles. 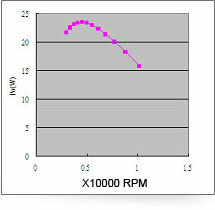 Torque will be decreased, due to motor’s speed increased by moment of inertia. The current will be decreased, due to momtor’s speed increased by moment of inertia. 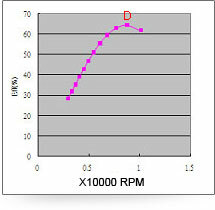 To make an effort diminsh, due to motor’s speed increased bymoment of inertia. 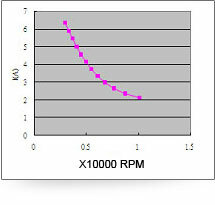 Motor’s efficiency will be decreased when the motor’s speed increased to D point.